BHP Billiton's Petroleum President, Tim Cutt. BHP Billiton’s Petroleum President, Tim Cutt, has highlighted the urgency of the oil industry to find new supply sources. 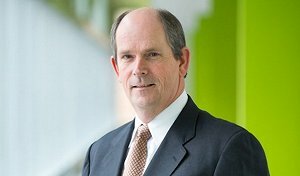 Speaking at the Australian Petroleum Production and Exploration Association (APPEA) conference in Melbourne this week, Cutt stated that US oil production has surged by 3 million barrels a day in the past four years due to the boom in shale, and is expected to peak in the next decade. This in turn has increased demand for new sources globally. In the past twenty years, the industry has been discovering under half the amount of oil it consumed each year, with current consumption at 30 billion barrels annually. In the previous four years, discoveries have been less than 10 billion barrels of oil per year, with 2014 amounting to less than six billion. In recent months, BHP has become less confident about the economical prospects of shale oil and gas, therefore shifting focus back on “conventional” oil sources. “In addition to looking inward to simplify and become more productive, we must also push for policy and regulatory frameworks that enable our industry,” Cutt added.